This award was set up in memory of Jay Goold, one of the “foundation members” of The Ontario Gymnastic Federation and also of The Canadian Gymnastics Federation. He worked on both Boards of Directors for many years as an excellent organizer and administrator. Jay provided guidance to other volunteer committee members and continually mentored new volunteers to get involved in gymnastics. Jay passed away several years ago and this award was named in his memory. The award is presented to an individual who has contributed many years in the gymnastic community at the Provincial level and has demonstrated administrative (non-technical) leadership. The individual will have shown exceptional commitment and dedication to the development of gymnastics in Ontario for a minimum of 10 years. The nominee’s background would typically include long term involvement in mentoring, encouraging or assisting in the development of other members of the gymnastics community, and continuous involvement at the club, regional or provincial level. Note: This award does not preclude volunteers with a technical background from being considered if they also have a strong administrative involvement, however only the administrative involvement will be considered for the award. 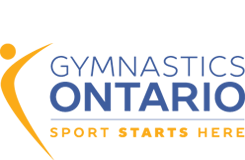 Nominations should provide a brief overview of the nominee’s contribution to gymnastics in Ontario, and should describe the overall impact the nominee has had on the Ontario gymnastics community. Any other documentation deemed relevant to describe the contributions and achievements of the individual should also be included. Nominations will be short-listed by the Awards Committee and approved by the Gymnastics Ontario Board of Directors. The recipient will be presented with a commemorative plaque at the G.O. Annual Awards Banquet. The recipient’s name will also be engraved on the Jay Goold Memorial Plaque which hangs permanently in the G.O. Office. Recipients will be notified by Gymnastics Ontario a minimum of 30 days prior to the Awards Banquet in order to confirm attendance. Awards not presented at the Awards Banquet will be sent to the recipient by mail.